Use iPads to try flipped learning and find out why this idea is turning education on its head! Today, we’ll say “hello” to flipped learning and look at why there’s so much buzz about it right now. Then, we’ll take a closer look at why iPads make this technique SO much easier, and give you some useful tips to get started. So, what’s all the fuss about flipped learning? Flipped learning is a new educational technique that’s becoming seriously popular. Old-school learning involves introducing your pupils to new concepts and learning materials, then sending them away with further reading homework activities. Flipped learning means giving students learning materials some time before class. In doing so, you’ll encourage them to explore the concepts themselves, then use lessons to host class/peer-discussions and instruct them through problem-solving activities. Basically, this turns lessons from a passive knowledge-gathering process into an active knowledge-validation process. But, does it work? Oh, yeah! In fact, one recent study of primary school kids found it gave them the equivalent of one extra month of maths study over the course of a school year. 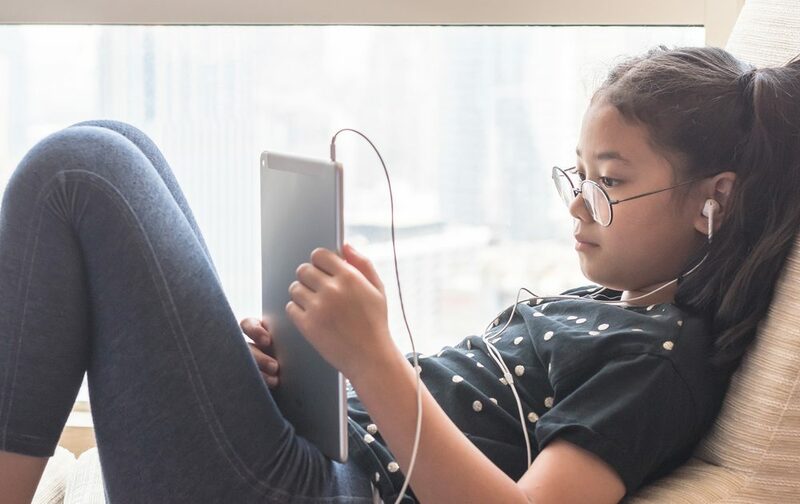 How can schools use iPads to try flipped learning? It always takes time to persuade parents, pupils and even colleagues about new teaching techniques. But, iPads are ideal for showcasing flipped learning. Don’t promise too much; set expectations with pupils/parents and get ready for some trial and error. The rewards will be worth it, though. Get parents and kids onboard by showing them flipped learning apps such as MathsFlip, Edheads or PlayPosit. And, introduce teachers to practical flipped learning guides from people like Jon Bergmann or Hannah Dodds. Reading is a super-important skill in itself, and puts across a whole stack of knowledge. So, put this at the heart of your pre-lesson presentations. But, kids need a little more than reading alone to keep them engaged, and iPads give you scope to create multimedia learning resources. Combine reading with fun YouTube videos/audio files (lasting 10 mins or less) and a few educational games to hold their interest. iPads make flipped learning way more collaborative on many different levels. Ask kids to form groups, or create ones that’ll encourage folks with different abilities to help each other out. Then, task them with using the iPad’s communication functions to work together on a pre-class project. Also, think about your own position in the classroom. Try to move away from board-based delivery and start circulating around your class to help individuals and specific groups. Use iPads to try flipped learning in your classroom with these handy tips! Get your classrooms prepped for flipped learning; speak to Utility Rentals about our iPads for schools and flexible rental agreements!